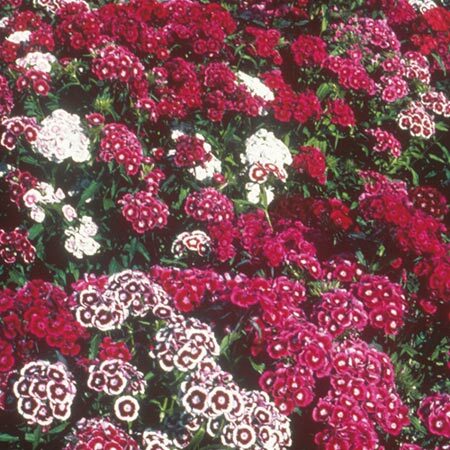 A lovely blend of large flowered, strong growing, sturdy plants with the widest colour mix available. Good, sturdy plants to withstand the winter and reach a crescendo of colour in the spring. Height 30-60cm (1-2'). HHA/HB - Half hardy annual/Hardy biennial. A mixture of large flowers! Sow April-May indoors and plant out to flower June-September. HB - Hardy biennial types. Sow May-July outdoors in a seedbed. Plant out in the autumn to flower the following year. Suggested planting distance 20cm (8”). Ideal for beds and borders. Scented. Attractive to bees. Suitable for cutting. Prefers full sun.